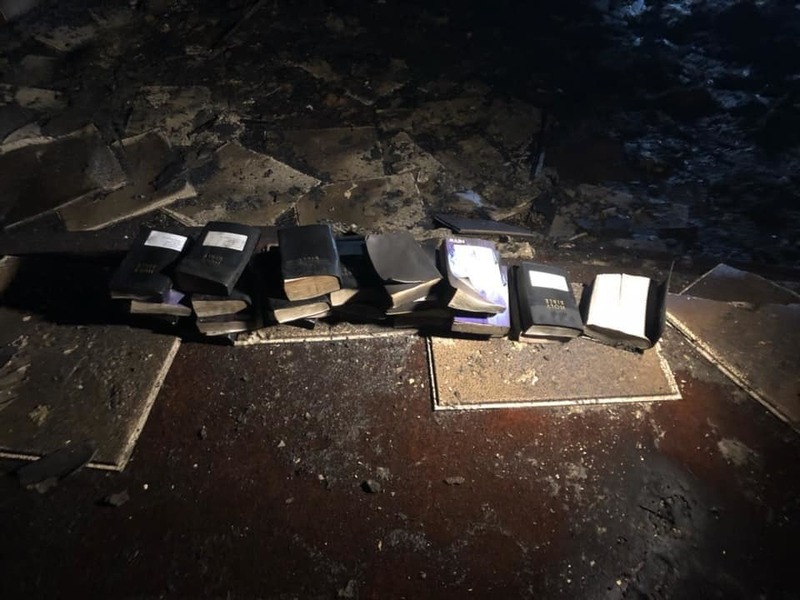 Members of the Coal City Fire Department in West Virginia acknowledged God’s power Sunday after a devastating fire burned down a local church but failed to destroy any of the Bibles inside. “Picture this, a building so hot that at one point in time, firefighters had to back out. In your mind, everything should be burned, ashes. Not a single Bible was burned and not a single cross was harmed!! Not a single firefighter was hurt! Prayers for the pastor and the congregation today,” the fire department wrote in a post on Facebook about the fire that destroyed the Freedom Ministries Church early Sunday morning. Firefighters say they were dispatched to the scene of the fire in Grandview, West Virginia at about 12:58 a.m. on Sunday to assist the Beaver Volunteer Fire Department. “Though odds were against us, God was not,” the department said. The Christian Post reached out to Freedom Ministries for comment on the fire Tuesday but officials did not immediately respond. In a statement on Facebook, shared along with a photo of what appears to be smoke billowing from the burning church, the ministry vowed to rebuild.